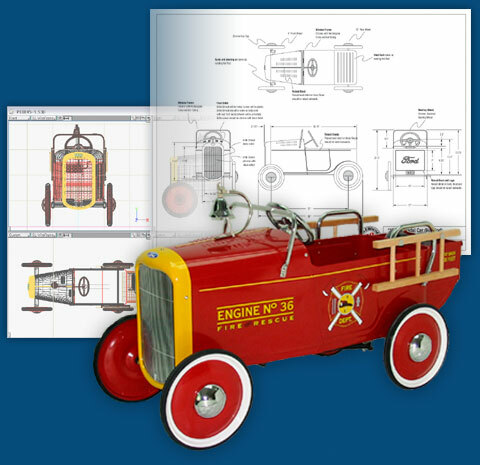 Project Outline: Develop a custom line of pedal car ride-on toys for the retail toy market. Design emulates the overall design lines of the 1932 Ford Roadster, including distinctive grille shape and body details. Product to be made of stamped steel with powder-coat finish, chrome accessories and rubber tires. Officially licensed by Ford.